Turkey (SAT7/MNN) — There are plenty of ways to get news today. In one Muslim society, Christian news is gaining traction. “Other channels sometimes give misinformation about Christians and the Church,” explains SAT-7 TÜRK’s news editor, Seyfi Genc. SAT-7 TÜRK’s news program just expanded from a weekly live show to a daily one. The program covers general news to give it broad appeal, but it’s the Christian news that often attracts the biggest response. “Turkey has over 600 TV channels…. We are the only Christian channel on the Turksat satellite,” Genc notes. SAT-7 TÜRK’s singularity when it comes to Christian news also extends to social media. When Genc shares news relating to Christianity on SAT-7 TÜRK’s Facebook page, it often reaches 1,500 people in an hour. 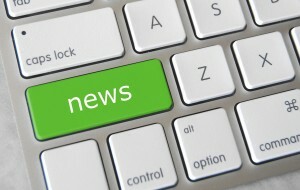 General news updates typically reach 40 people within the same time frame. “It shows the hunger our followers have to read about Christianity,” says Genc. The demands of the new program will be a challenge for Seyfi, video editor Sezgin Alışır, and presenter Sinem Ergün, who together comprise the entire news department. Please add the team to your prayer list. Learn more about SAT-7 TÜRK here. Pray that the SAT-7 TÜRK news team will gain strength and energy from the Lord. Pray that news broadcast by SAT-7 TÜRK will attract nonbelievers to Christ.